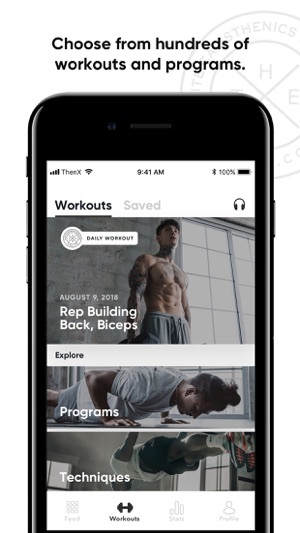 Thenx is designed to teach anyone the secret techniques and knowledge of bodyweight training. 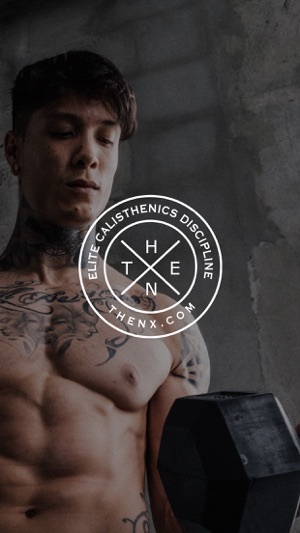 These programs have been tested and developed over many years by professional instructors and athletes to provide the most direct and simplistic format to excel in calisthenics fitness and ability. In these programs you will face challenges, but the skills and abilities that you will develop through proper guided progression is obtainable by anyone from any age or any fitness level. 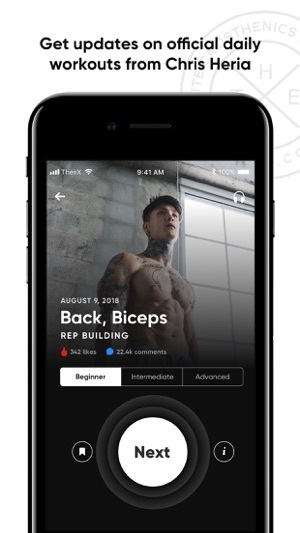 The content provided is designed in short video format with the purpose to convey the techniques and exercises at your own pace, ensuring proper form to be easily repeated, personalizing your workout experience. Great app! However, could use a couple of tweaks. 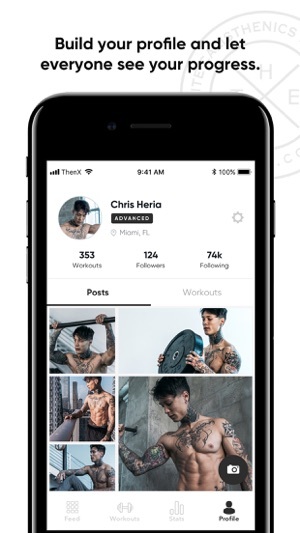 The videos are great, I love the workouts and the app looks awesome. Couple things I would recommend changing just for convenience sake: Either have the workout itself as the cover/thumbnail photo for each video or having pictures so you don’t have to wait for the video to load and go through the intro video. If you have bad service or don’t have unlimited data it can be very inconvenient because the video could take a while to load and you aren’t getting the best workout at that point. Also the timer isn’t the easiest to use because you have to scroll all the way up to pause and stop. It would be more convenient if it just stay in place on the screen even after scrolling down or up. Anyway, great workouts, you look great and I plan to get to the same level! I really liked this app while I used it, I got some pretty good results. Organization was nice, workouts and were clear and concise, and the technique guides were great. I would definitely recommend it. However, there was a problem with crashing. The app would constantly crash. Also, this is a word of warning: at the beginning of this month I decided to cancel my membership because I am working out elsewhere 4 days a week and do not need to overtrain. So I canceled a couple days after I had already paid for the month of November, but instead of getting the month I paid for, they automatically canceled everything, including the stuff you get with a membership. So I feel kinda ripped off that I paid for this month but did not get it. However, the app itself, though it has improved, can get better. I have a list of suggestions. 1. Reduce the length of in-workout exercise videos, only focus on the movement - not the intro or just talking. People want to focus on the workout, not waste time on watching videos. 2. Make each thumbnail for the video specific to the exercise. When it’s just a general thumbnail it’s confusing. 3. It’s very hard to do the workout with the basic timer. Make a rest and an in-set timer. Also have a counter for the rounds. 4. Make even more basic programs/progressions. The beginner program is already hard for the majority of the population. More users will sign up with an easier entry. E.g. the expectation to do 12 leg raises right off the bat. 5. Make the app payable by subscription on Apple. The website looks sketchy and prevented me from buying twice. 6. Basically, throw all ThenX content into a Mad Barz style app. 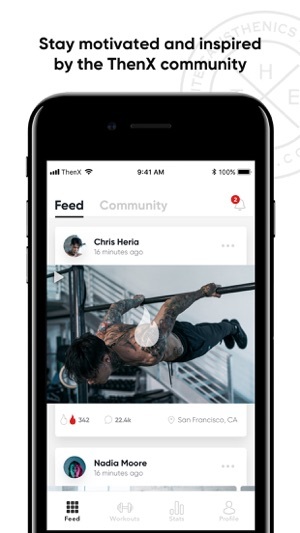 I’m looking forward to staying on board with ThenX as the app gets better!